Gaisce – The President’s Award is Ireland’s National Challenge Award for young people, the country’s most prestigious and respected individual Award programme. It is a challenge from the President of Ireland to the young people of Ireland. In 4th year students get the opportunity to complete the Bronze Award with many students proceeding to do the Silver Award in 5th year. Students carry out these tasks in a number of different organisations including St. Vincent de Paul, St. John’s Ambulance or by learning first aid, taking up a musical instrument, rugby, basketball, rowing etc. 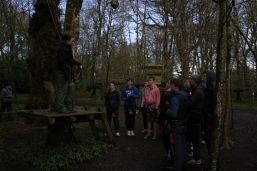 The adventure journey is normally organised by the Gaisce Leaders and the students are required to complete all tasks on this trip. In the past students have gone to Glendalough and completed part of the Wicklow Way as well as St. Kevin’s Way. 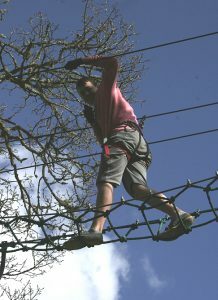 They have also gone to Lough Key Forest and Adventure Park in Boyle, Co. Roscommon, where the students camped over two nights and completed hikes, orienteering and Zippit.